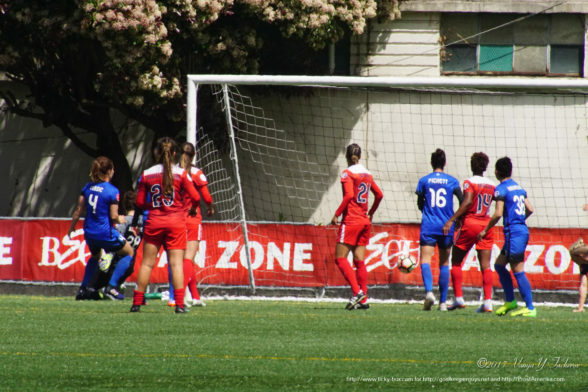 The Goalkeeper Guys | Coverning goalkeepers, Seattle Reign FC, and whatever else we think of and can get to. 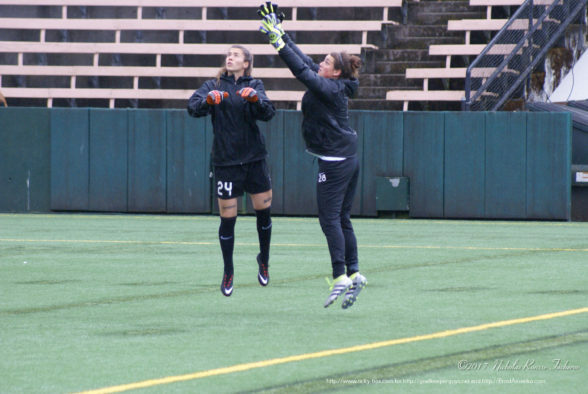 Coverning goalkeepers, Seattle Reign FC, and whatever else we think of and can get to. This gallery contains 195 photos. This gallery contains 267 photos. 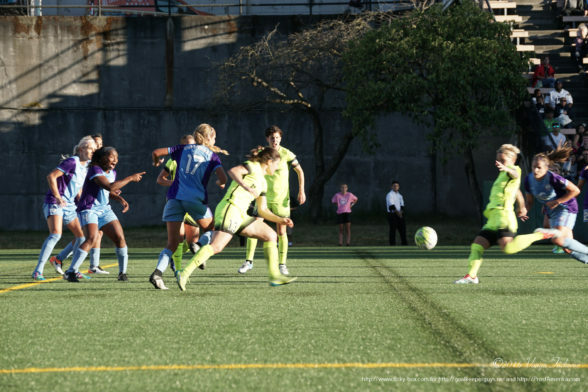 Led by Nahomi Kawasumi, who set a NWSL record by registering four assists to go along with one goal, and Megan Rapinoe, the Seattle Reign showed their dominance at home with a 6-2 win over the Washington Spirit. This gallery contains 191 photos. On Senior Night at Harrington Field at Western Washington University, one of the highlights for the visiting Central Washington University Wildcats came early, in the fifth minute, when the Vikings’ Becca Cates took a penalty kick which was saved by Wildcat freshman goalkeeper Emily Holt, who then fell on the rebound before any of the Vikings could get to it. The evening would turn chillier for the visitors in the 20th minute, with Western’s Gabriella Pelogi finding a seam in the middle of the Central defence and burying a shot from the top of the 6-yard area. Minutes later, Pelogi would have a shot at the brace as she was played in by Elise Aylward, but Holt held her ground and was able to corral the shot. In the 27th minute, the Vikings would make another bid to stretch their margin to two, with Caitlyn Jobanek missing just high with a left footed drive from the top of the box. The second goal wasn’t long in coming, though, with Liv Larson finding twine behind Holt, curling a drive from just outside the box into the top right corner. Western continued the pressure on the Wildcat back line, but headed to the turn with just the 2:0 advantage, with junior goalkeeper Ashley Homer barely tested by either of Central’s two shots. 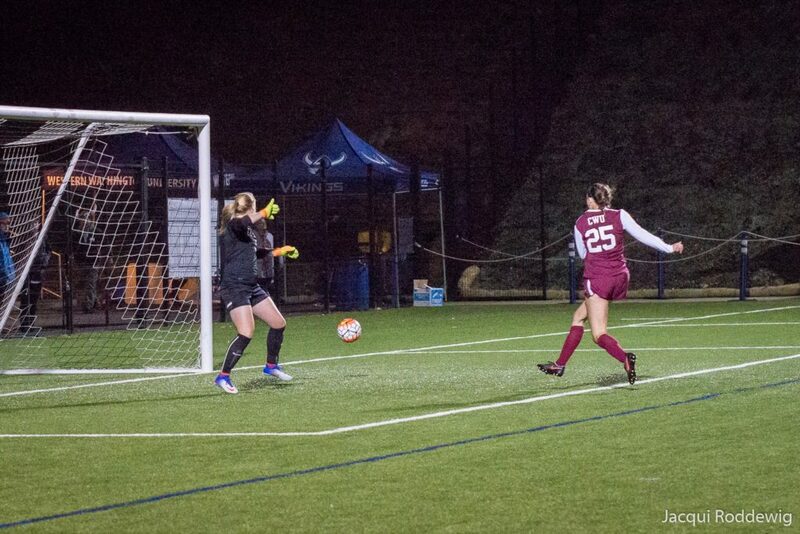 Abby Litka would ruin Homer’s clean sheet in the fiftieth minute, left-footing a shot into the side netting from the left post, after creeping into a seam resulting from a coverage error on a Wildcat corner. The goal conceded snapped a skein of 422 minutes the Viking defence had held opposition off the scoreboard. In the 56th, the visitors from Ellensburg would spring McKenzie Nolte behind the Viking defenders, but the cross from Bailey Martoncik was just a little too heavy for Nolte to keep in, and kept the margin at one. 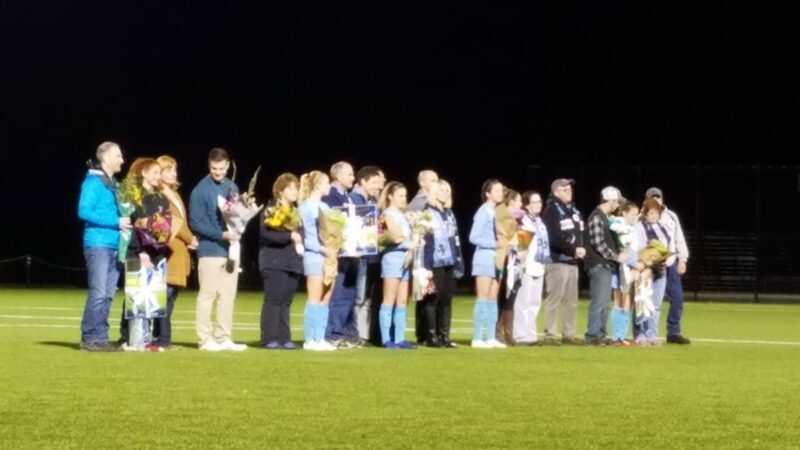 At 2:1, the game settled into more of a back-and-forth struggle until the 70th, when Mariah Roggow capitalized on a feed from Jobanek to restore the Vikings’ cushion to two, where it would remain until the eighty-eighth minute, when Aylward chipped Holt to stretch the score to 4:1. “I’m just so proud of these girls, the way they’ve worked all season, and their work shows in the record,”Connell concluded. The win ran Western’ record to 15-0-1 and a perfect 10-0-0 in the Great Northwest Athletic Conference, and marks the 23rd consecutive home victory for Western. 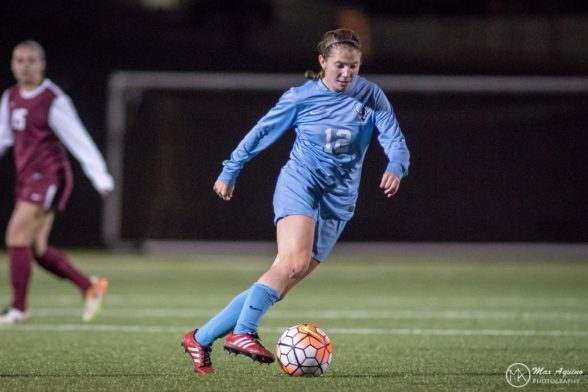 The Vikings close out their campaign with a pair of road matches against Portland Nazarene and Montana State Billings before the GNAC tournament, which will be hosted in Burnaby, British Columbia by Simon Fraser University. 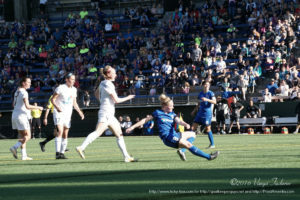 For three seasons Seattle Reign FC has had continuity in the central midfield in the form of the trio of Jessica Fishlock, Keelin Winters, and Kim Little. 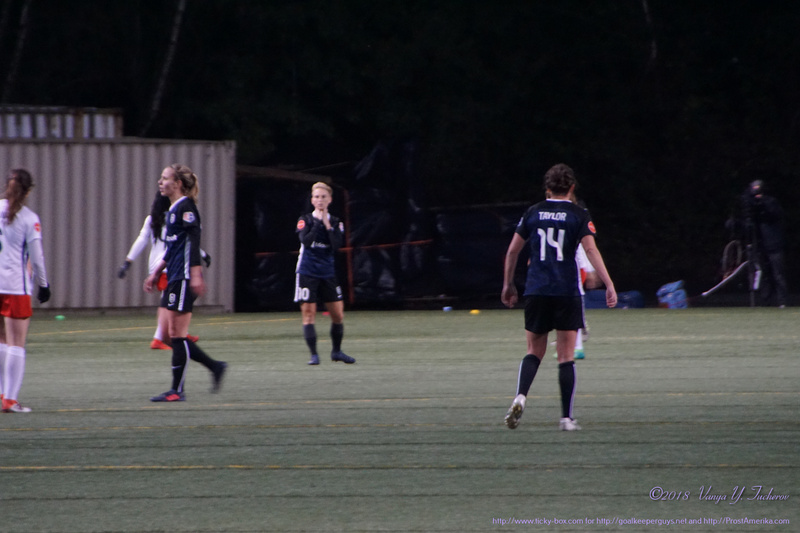 With few exceptions, Seattle coach Laura Harvey has been able to start said trio knowing Reign FC would be able to defend, attack, counter, and recover with consistency. Keelin Winters announced her retirement late in the 2016 season. Some changes were coming. Today, the Reign FC and Arsenal Ladies announced the Kim Little was returning to England and her former side. Little leaves the NWSL and the Reign as both the league and franchise leading scorer with 34 goals. Seattle grabbed two NWSL Shields and played in two NWSL finals with Little, where she also was voted the league MVP in 2014. Seattle now faces an off-season with much more on field uncertainty than in the past few seasons. Harvey has been able to play a reasonably consistent line up for a few seasons; returning the bulk of her starters from 2014-16. There are options already on the roster, however. 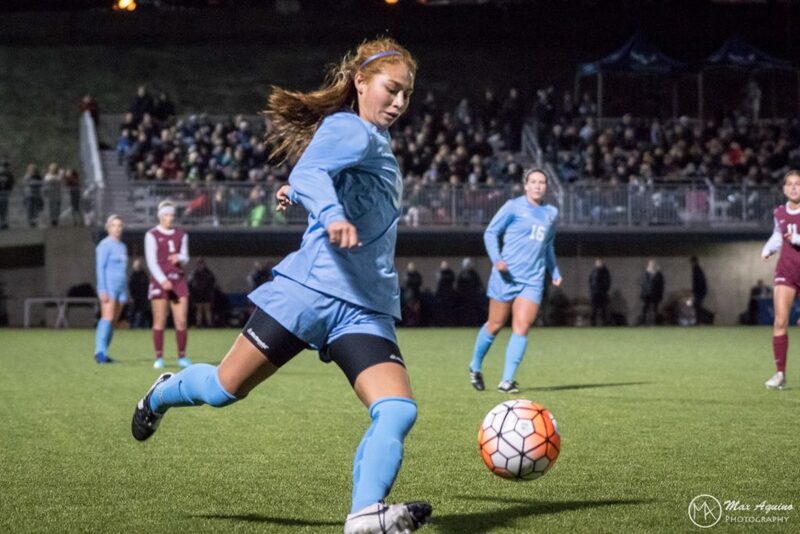 Beverly Yanez has shown good form when in the midfield attacking role in parts of 2016. Although her early Reign career was primarily at striker, 2016 especially saw her moving about into different spots and playing well. Havana Solaun got minutes early in the season with Fishlock injured and showed definite promise. After sitting out a full season previously, Solaun got an opportunity with the US U23s and in the Seattle midfield. 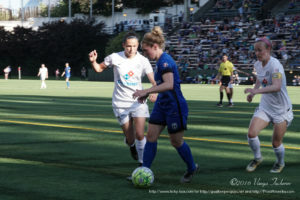 The Seattle roster still lists attacking options like Naho Kawasumi and Manon Melis as well as having Merritt Mathias capable of stepping into many different roles. Could a player like Lindsay Elston step up into the Winters role? What will a fully healthy and full season from Megan Rapinoe potentially bring? 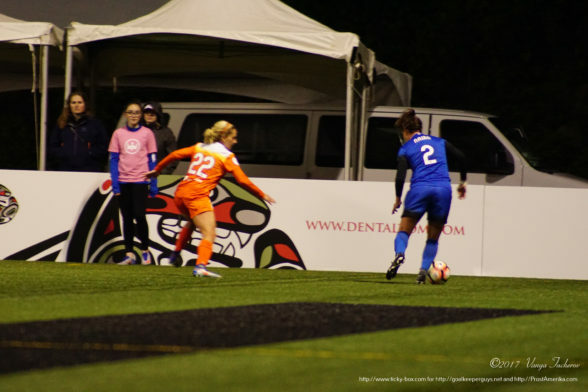 Losing the quality of a Kim Little hurts, but Seattle has roster depth going into the off-season. Seattle has not shown a shyness to make moves, having brought back Naho in mid-season in 2016. Losing the BBC World Footballer of the Year Kim Little is no small thing. It’s October, but the NWSL off-season just got very interesting in Seattle. 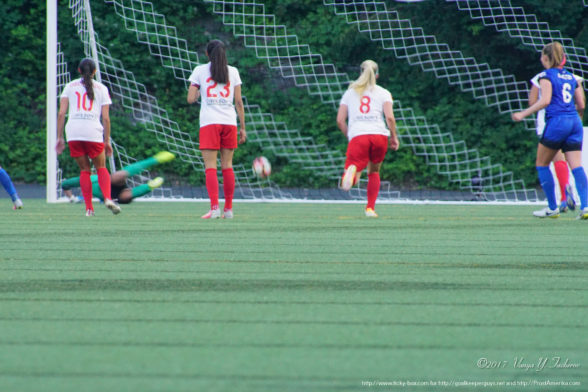 Is The NWSL Broken Beyond Repair? A discussion originated on an National Women’s Soccer League-related forum in which I’m active wherein the original poster discussed potentially withdrawing support from the NWSL and its teams due to several issues with the league and its US Soccer Federation parentage. The following started as a response to that thread. This is definitively editorial in nature, so I hope the readers will forgive the departure from journalistic convention into the use of the first person pronoun. After all these are one person’s opinion. That person happens to be ‘this reporter’, but usage of that convention in an op-ed seems at best stilted. Is the NWSL flawed? Yes. I’m sure that anyone who has been paying any attention can rattle off lots of ways it is. Is it still the best option we have? Yes. Unfortunately, there’s a weird chicken-and-egg situation. The league won’t grow without better infrastructure and simultaneously, can’t [afford to] develop better infrastructure without growth. It’s almost comically minor-league – perhaps even bush-league – that the league office is something on the order of three full-time employees and a handful of interns, and at least in the non-MLS co-owned/partnered markets the situation is likely at least as sparse (I know in Seattle it absolutely is and that the turnover rate is incredibly high – we’re on our third or fourth media contact of the season, and have had I think seven now in my three years covering the team). People are stretched to the breaking points and beyond – and this is just the off-field administrative stuff. The player payscale is simultaneously ridiculous and sustainable – as wrong as it is for anyone who works as hard as the players for potentially as little as $7000 a season (assuming they make the roster and aren’t amateurs who may work as hard for nothing), there isn’t the revenue stream to support it being higher – and even though team owners are reasonably well heeled it’s an unreasonable expectation to demand that they lose more to pay better. We’ve also seen in past leagues what results when compensation rates are significantly higher – leagues folding in three years because they become fiscally untenable. That option is obviously not viable from past experience. So, how then to fix it? I don’t have the answer, but I suspect that it involves significantly more investment from the US Soccer Federation as the lead partner in the coalition of associations which underwrite the NWSL – particularly given the general track record of the US Women’s National Team – into both the infrastructures and on-field product. Getting more teams will help – it seems ludicrous that there are only five NWSL teams in the top 20 US markets (#3 Chicago, #5 Houston, #6 Washington, D.C., #10 Boston, and #15 Seattle) and the list of those other 15 is studded with places which come up over and over again – NYC, Northern and Southern California, Dallas, Philadelphia, Atlanta, Denver, St. Louis. Adding eight to ten teams at once is probably disastrous, but if I’m in the commissioner’s office, I’m actively recruiting potential ownership groups in those places and building a plan to include them as rapidly as seems feasible. Adding presences in those places will help build revenue, and has the chance to make it possible for the league to get a TV contract which doesn’t see it displaced by NASCAR second-tier truck racing and high-school football (in the past two years, playoff games have been shoehorned around such events, resulting in such disasters as a semi-final match featuring Washington at Seattle having a 10 pm Eastern time Thursday kickoff even if this made it unrealistically late for fans of the visiting team to watch). Sure, having almost every game since the league’s inception available for viewing and live-broadcasting those which aren’t televised via YouTube is great, and makes it possible for fans without deep pockets to follow their teams away from home. But I don’t think anyone can make the argument that doing so is an acceptable alternative to having a regular nationally televised match broadcast on a significant outlet. As with so many of the things we’ve seen above, if you’re already a fan, there’s no reason why you shouldn’t know about the broadcasts; but if you’re not, they’re not easily discoverable – and that accessible discovery goes a long way in building interest. I’d be looking at ways to make the merchandise more readily available by getting it into national distribution and offsetting the hit to owners by giving them a share of the profits – this has been cited as a reason why it hasn’t been done yet; that by making merchandise available strictly through the teams and league stores it drives all that revenue back to the owners. This strikes me as one of two things: either a well-intentioned mistake on the part of the league or a tacit acknowledgement that there simply isn’t the overhead and infrastructure to hire a league merchandising and marketing director worthy of the title who could get this sort of thing done. There are so many places in Seattle I can go and buy merchandise from our other professional sports teams. For that matter, I can buy Seattle Supersonics gear, and the Sonics were uprooted to Oklahoma City eight years ago. I know of a single store which isn’t online or the team’s Match Day popup in the stadium where I can find Seattle Reign stuff, and that one’s limited to t-shirts. I strongly suspect that this particular outlet (if you’re curious, the Simply Seattle! store at 1st and Pine) bought a handful of shirts in their most common sizes for women, youth, and men from the team itself simply because people asked for them. I’d also want to focus on some way to get the players – not merely the cadre of national team stars – visibility and name recognition, at least within their communities. For instance, if you’re a sports fan in Seattle or Portland, you probably know who Clint Dempsey or Diego Valeri are; if you’re a soccer fan, you probably know Alvaro Fernamdez and Darlington Nagbe. 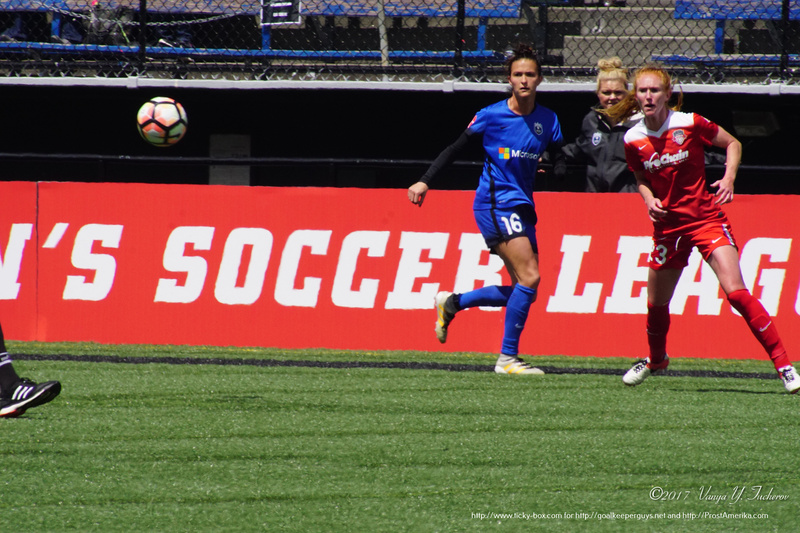 Sports fans probably recognize the names Tobin Heath and Megan Rapinoe – but what does that say about the Jess Fishlocks and even moreso the Hayley Rasos of the league? I’d be surprised if 2% of self-identified sports fans in Seattle know who Jess is, and would suspect that the Portland number might be less than 2% even among self-identified soccer fans for someone like Raso. Yet it’s the intensity and drive of the Fishlocks and Rasos – and of the twenty or so players on each team’s roster who aren’t well-known names from the US. If you can find me someone who isn’t a die-hard fan, family member, classmate or former teammate of Andi Tostanoski, Didi Haracic, or Allie Wisner who knows who they are, I’d be shocked. So, the NWSL thus far has failed at a logistic level; it has failed to properly treat its players and particularly those amateur players who train with the teams and fill out the rosters when national team players are off representing their respective countries; it doesn’t market itself well enough to get more than a toehold of national broadcast coverage for anything but some of the most important matches each year; it hasn’t managed to establish a presence in more than a quarter of the largest metropolitan areas, and remains nearly invisible and hard to detect outside the cities where it does have a presence. Still, it’s a start. We need to support it, lest it go the way of the WUSA and WPS. What do you think can reasonably be done to make the league a better and more sustainable presence? Chime in! Your opinions are as valid as mine. This gallery contains 121 photos. I’ve been remiss in getting game photos posted. Mea culpa. 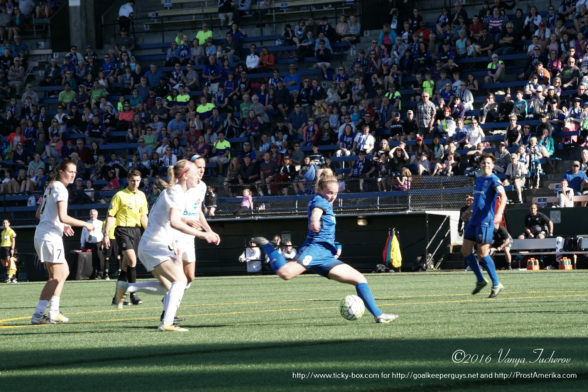 Here are shots from the Reign romp over the Orlando Pride.